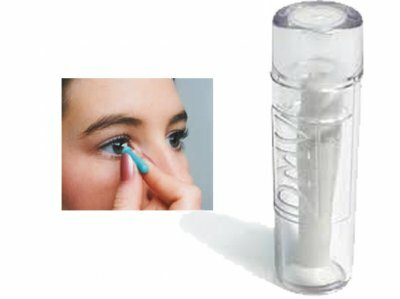 Mini Cup Contact Lens stick for easy insertion and removal of contact lenses. Mini Cup is designed for insertion and removal of hard and rigid gas permeable contact lenses. The mini-cup is only 5mm in diameter, making it easier for you to "hit the center" of the contact lens.